Dan was delighted to be asked to perform again at a fundraising concert for the Carmelite Friary Restoration Fund. 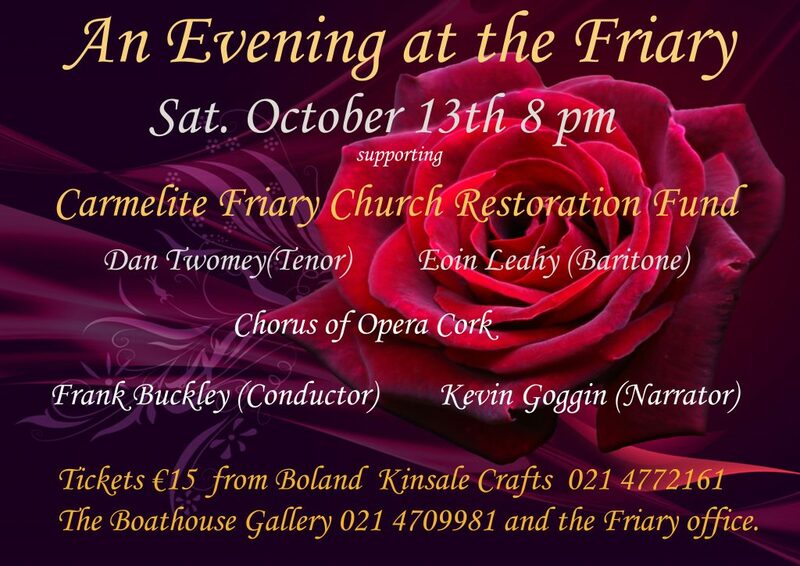 The concert took place at the Carmelite Friary Church, Kinsale on Saturday 13th October 2018 at 8pm. The concert was well supported on the night and was a nice blend of classical music and also songs from the musicals.